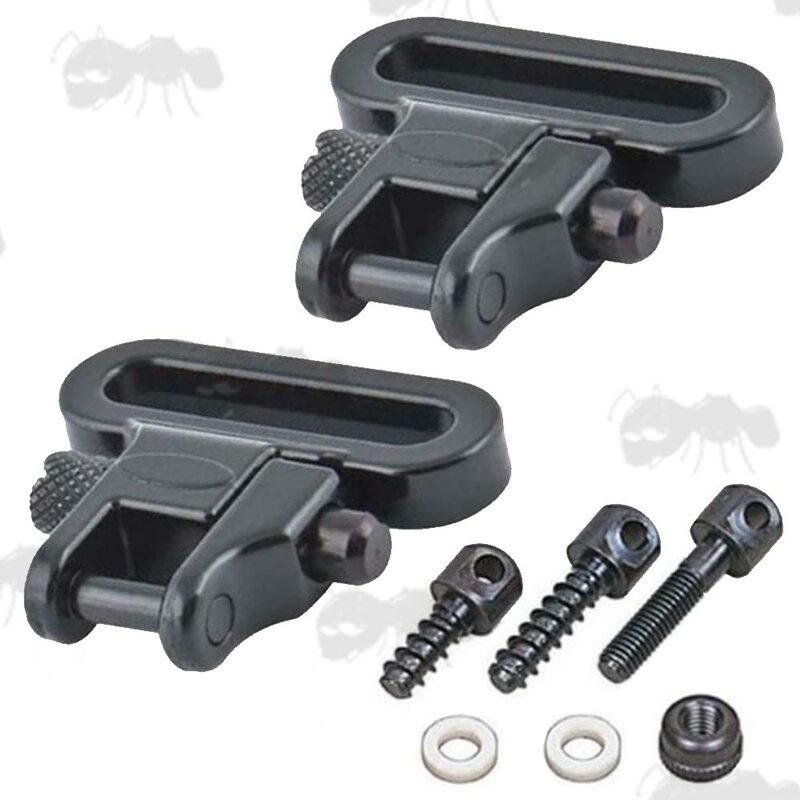 Heavy-Duty gun sling swivel sets. 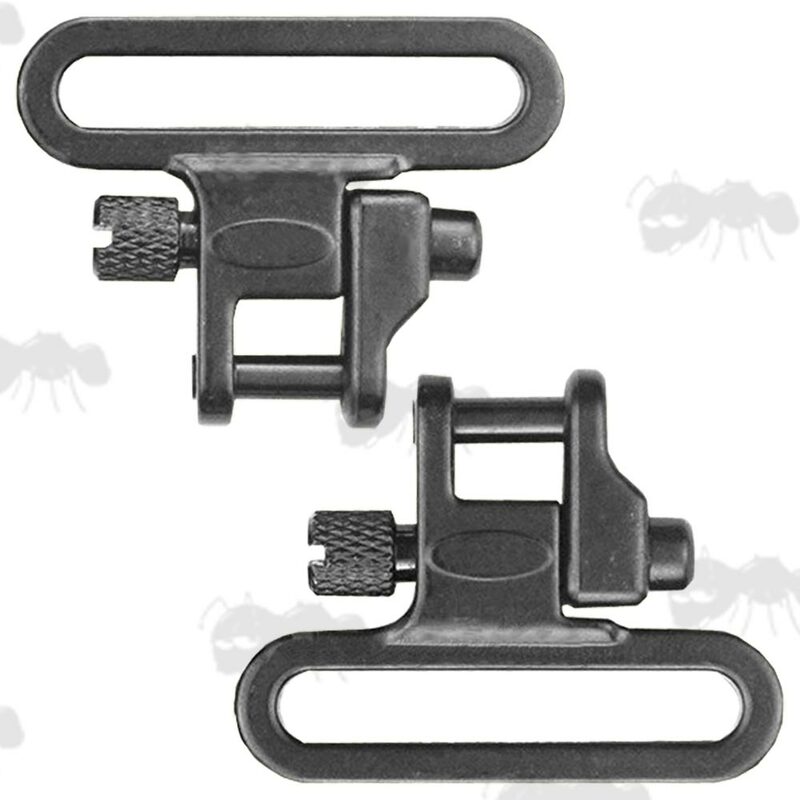 For 1 inch / 25mm wide sling ends. The widest point on inside of the loop is 28mm. 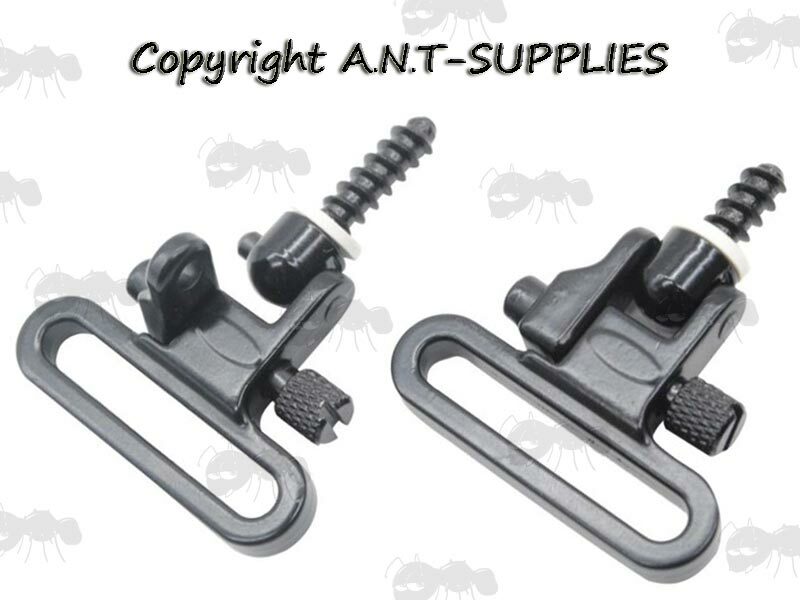 For 1.25 inch / 30mm wide sling ends. The widest point on inside of the loop is 34mm. Complete with QD wood and machine studs. Heavy-duty one piece main body design. Aluminium alloy with steel fittings. Option to include a complete set of QD base studs, the short (forend), and long (buttstock) with wood threads, and long (hollow forend) machine thread with nut and white spacer washer. 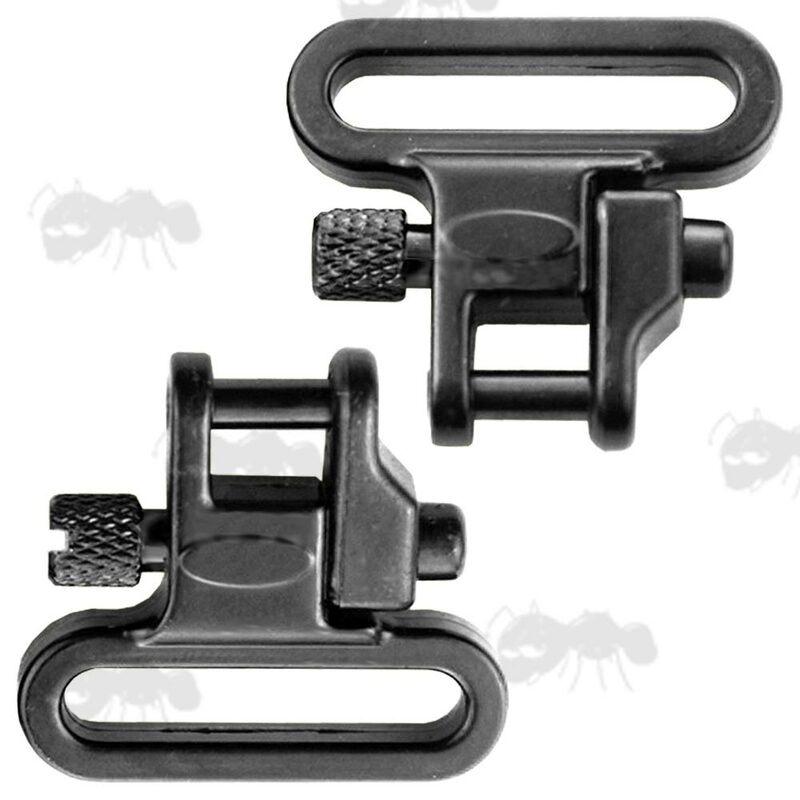 A quick and easy upgrade from factory fitted fixed sling swivels, gun sling swivels guide. 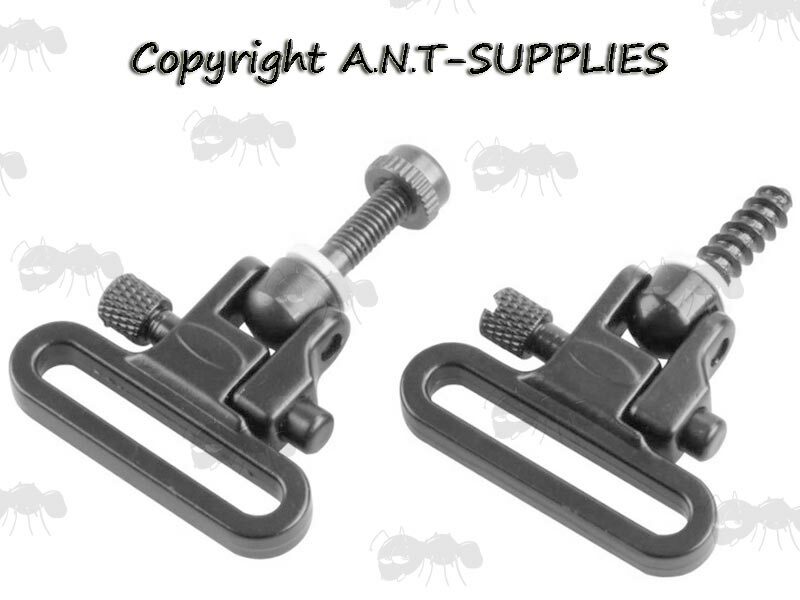 Also allows for the quick removal of the sling to add a bipod to the stud fitting.